New characters, new zombies Walker, more deaths — it’s the way of The Walking Dead. 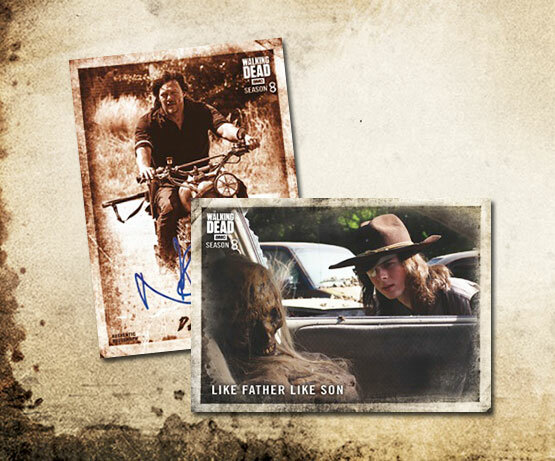 For 2018 Topps Walking Dead Season 8 Part 1, there are some new designs, new themes and new autographs included on the checklist. What isn’t new is the configuration. Like other recent seasonal sets, hobby boxes come with a guaranteed autograph plus one additional hit. 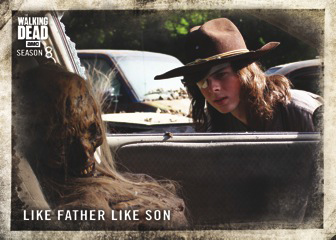 These range from more autographs, memorabilia cards, sketch cards and manufactured relics. The main set uses 100 cards to tell, presumably, the first half of the AMC show’s eighth season. This is somewhat similar to what Cryptozoic did with the license for some of their sets, although their dual releases were focused more on specific characters and their place in the season as a whole. 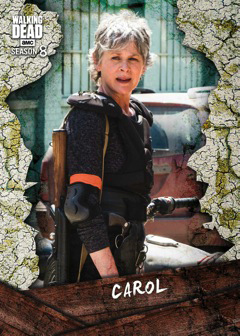 Parallels fall at least one per pack and stay in line with Topps’ other sets for The Walking Dead. Rust are the most common with one in every hobby pack. Numbered versions come in Mud (/50), Mold (/25), Sepia (/10), Black and White (/5) and Blood (1/1). Signatures come in several different styles and themes. Regular Autographs are a focal point and have Rust (/99), Mud (/50), Mold (/25), Sepia (/10), Blood (1/1) and Printing Plate versions to go with the regular ones. Dual and Triple Autographs return as a tough chase. This time, they come with parallels, Black and White (/5) and Blood (1/1). Costume Relics come with show-worn wardrobe swatches. Basic versions have six types of parallels numbered to 99 or less. 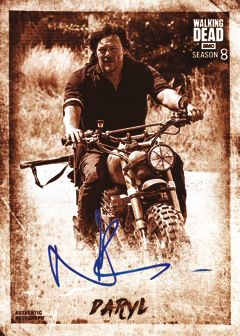 There are also Autographed Relic cards along with their own Sepia (/10), Black and White (/5) and Blood (1/1) parallels. 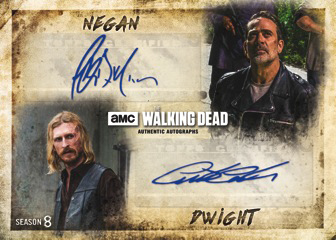 Dual Costume cards, both signed and unsigned, come with Sepia (/10), Black and White (/5) and Blood (1/1) parallels. Commemorative Faction Patch cards are manufactured relics. Arriving with autograph and non-autograph versions, they both come with six types of parallels, none with more than 99 copies. Randomly inserted sketch cards have original art on each. 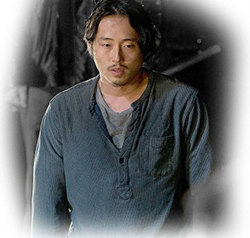 The focus is on eighth season characters. 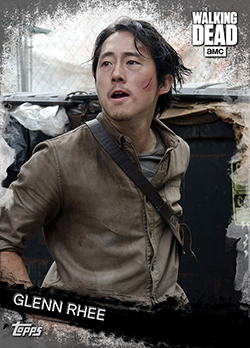 The one-per-pack regular inserts in 2018 Topps Walking Dead Season 8 Part 1 come in four themes. 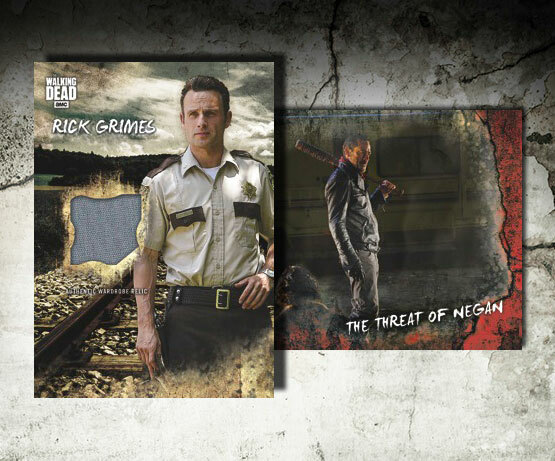 Three are returning sets, expanding with the new episodes: Character Cards, Rivalries and Walkers. Many Sides of War cards are new to this release. • Rust – 1 per pack.